According to her mom, Queena has never improved faster and better than she is now, but her trust fund is starting to run low and there is concern that it might run out. Cutting off any of the current treatments and therapies she currently receives to help save money would be detrimental to her healing progress. “Queena’s Holiday Shopping Fair” is set to take place on Saturday, December 13 from 11 a.m.-4 p.m. at Winthrop Town Centre, located at 11109 Winthrop Market St., in Riverview. This event is being led by Queena’s sister, Anna Vuong, who has been involved in the caring and fundraising for Queena since her injury in 2008. Local residents will be invited to attend an outdoor Christmas-themed shopping fair that plans to have a wide selection of specialty vendors, live music, hot cocoa, face painting, balloon animals, fire truck demonstrations, gift wrapping, and a silent auction. The fundraiser is in the planning stages and help is needed to carry out the event. The holiday shopping fair needs vendors to sign up early for booths at the fair and offer their unique goods to shoppers on that day. To participate, vendors will be asked to submit a $100 fee or $50 fee in addition to donated products for the silent auction. with 100% of that fee benefiting Queena for use towards therapy, medical, and homecare costs. Vuong hopes that vendors of all types will participate, including those who sell homemade crafts, art, clothing, books, jewelry, home goods, and more. Also needed are item donations for the silent auction that is hoped to bring in additional raised funds, as well as, financial donations to help pay for supplies for the event. “I am doing whatever I can in my power to help Queena and my mom. 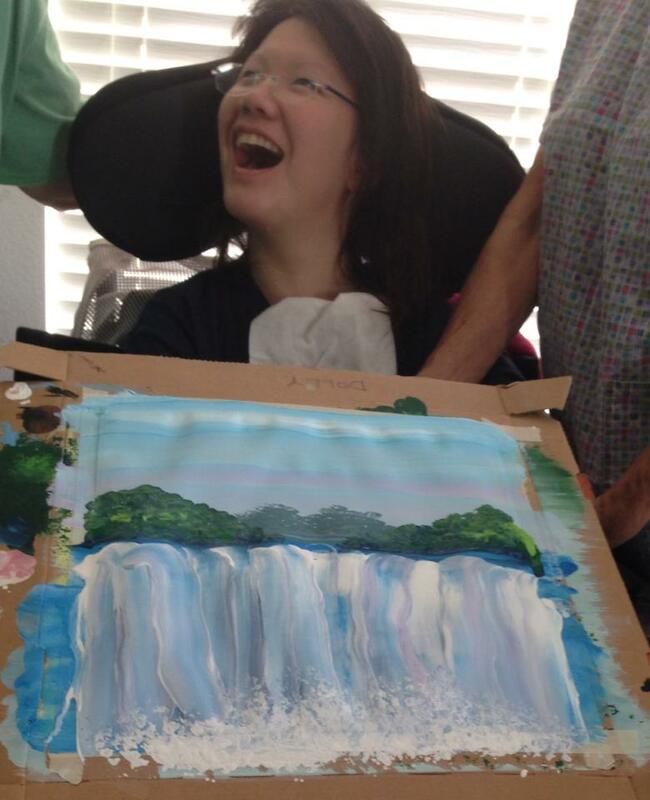 I had an idea to create a quaint winter time shopping experience where people can find great gifts, check off their Christmas lists, and rise up as a community to raise money for Queena so that she can continue her therapy and her progress,” states Vuong. To register as a vendor for the event or to donate items for the silent auction, contact Vuong at 956-3822 or avvuong@gmail.com. Financial support for the event can be mailed to Join Queena, P.O. Box 891277, Tampa, FL, 33689 or dropped off at any Bank of Tampa or SunTrust Bank. Checks can be made payable to “Bloomingdale Library Assault Victim Trust”. Financial donations can also be made online at joinqueena.com. Tickets for the fundraiser will go on sale in October. www.joinqueena.com/purchase-queenas-paintings-for-a-good-cause. All funds received help support her therapies.